← More Snakes! Grab Those Fabulous Snake Boots! I have to admit, the title is a little misleading. It’s like determining the superiority of champagne with raspberries or strawberries. Gene Kelly or Fred Astaire (not in champagne, just dancing!). Both are outstanding in their own right. Don’t make me choose. While I have come to discover that the meat harvested from nilgai and venison are both superior in my book, there are a few subtle differences. I’ve absolutely enjoyed experimenting with all my favorite venison recipes, applying them to our newly acquired exoitc meat. The first application that I tried was seared tenderloin. Deerslayer (a.k.a. Nilgaislayer) brought the most impressive tenderloin that I’ve ever seen back to our hunting camper. It was huge. 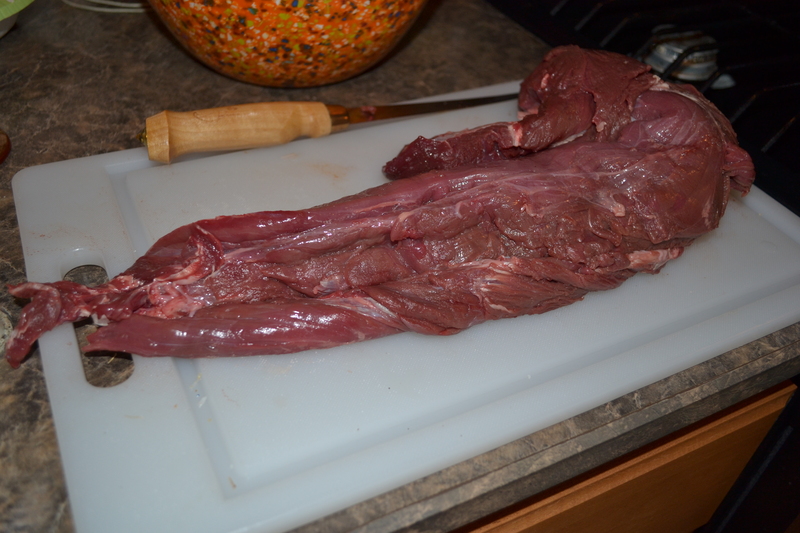 Therein lies the first difference between the nilgai and venison; the size. Venison tenderloin is barely a delectable morsel for two. Clearly, the nilgai tenderloin feeds several. In order to serve it at its best (rare to medium rare) I sliced down the length of the muscle and then cut it into lengths that would fit into my skillet which enabled me to get a good sear on all sides. 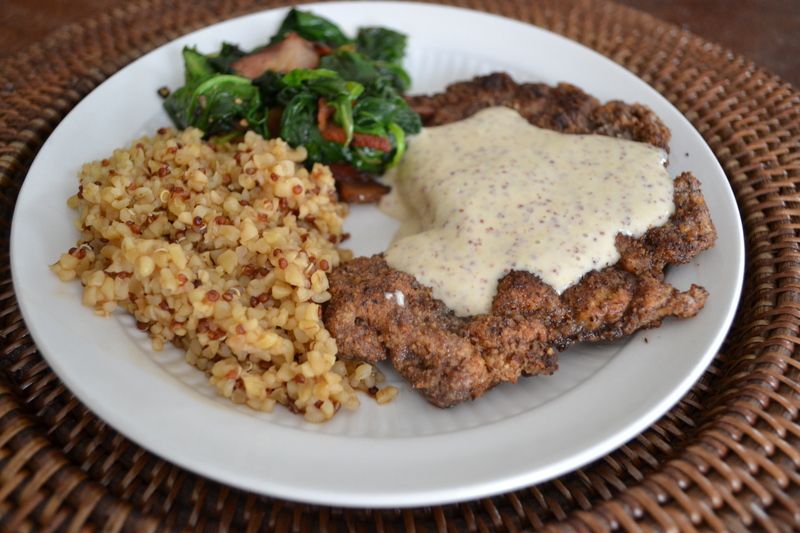 I’ve also used some of the hindquarter muscle to prepare chicken-fried steaks and pecan-crusted steaks. 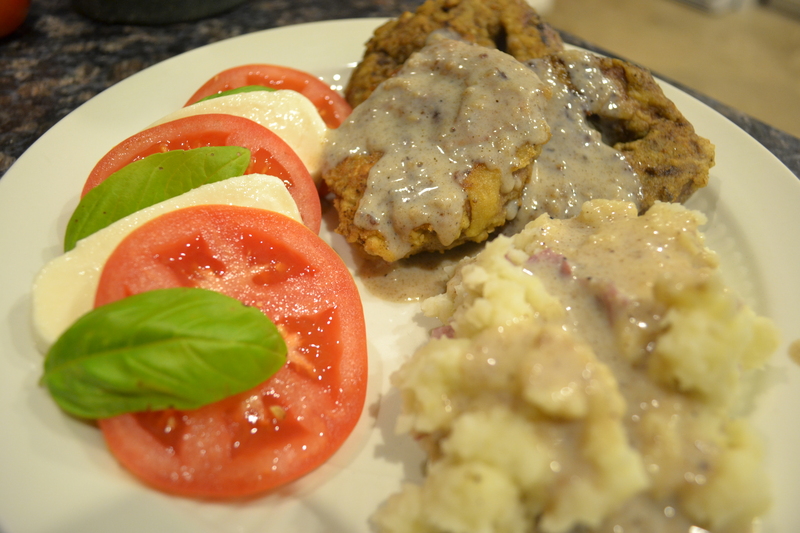 Both turned out beautifully, with no adjustments necessary to the recipe or cooking time. When the muscle is pounded out rather thin, the cooking time (frying time) will not be affected. 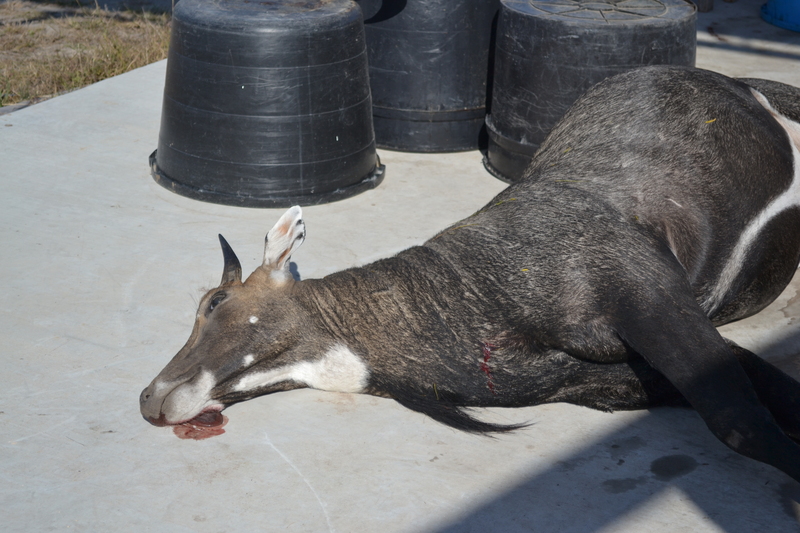 We ground our first batch of nilgai this past week. I say “first batch” because we only ground up about 50 pounds and still have quite a bit of “scraps to grind” left in the freezer. The amount of fat in the meat appears to be the same with venison and nilgai both (almost none)! My family prefers it that way. Others may wish to add in some pork or beef. We’re just purists, I guess. We enjoy allowing the flavor of the meat to shine through. In previous years, however, we’ve stretched our venison by adding wild pork that we had in abundance. The meat was good, while fattier, but the complexity of flavor was nice. I’d do it again if necessary. 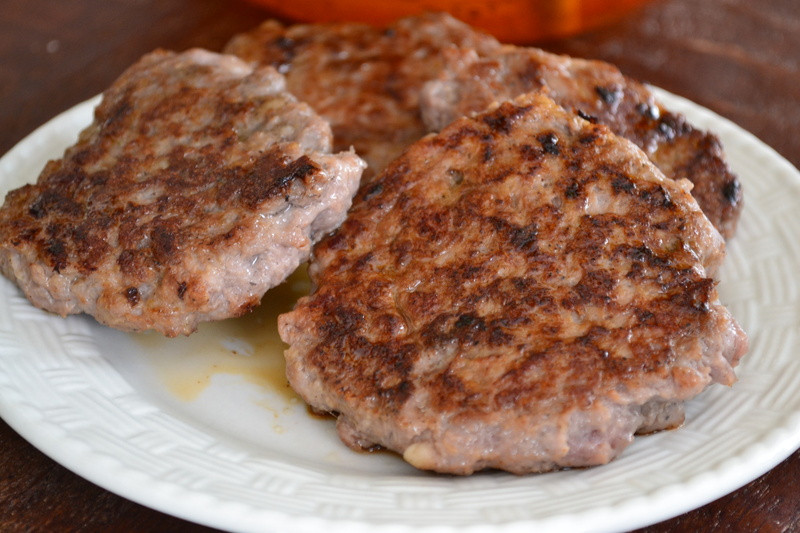 Given the choice, though, I’d save the pork to grind by itself for pan sausage. 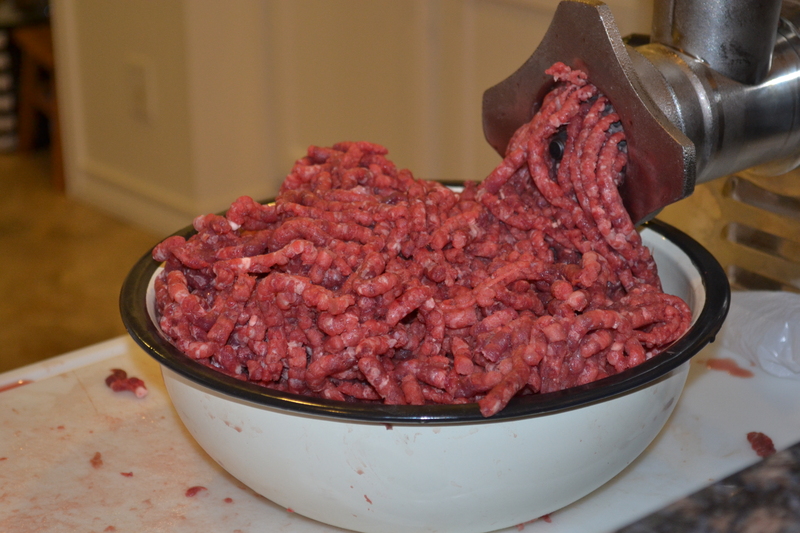 I’ll be posting photos and our procedure for grinding meat later. As I continue to use the nilgai meat, the differences I’ve noticed are few, but noteworthy. I noticed right away that the smell of the uncooked meat differs slightly from that of venison. Don’t be put off by it. 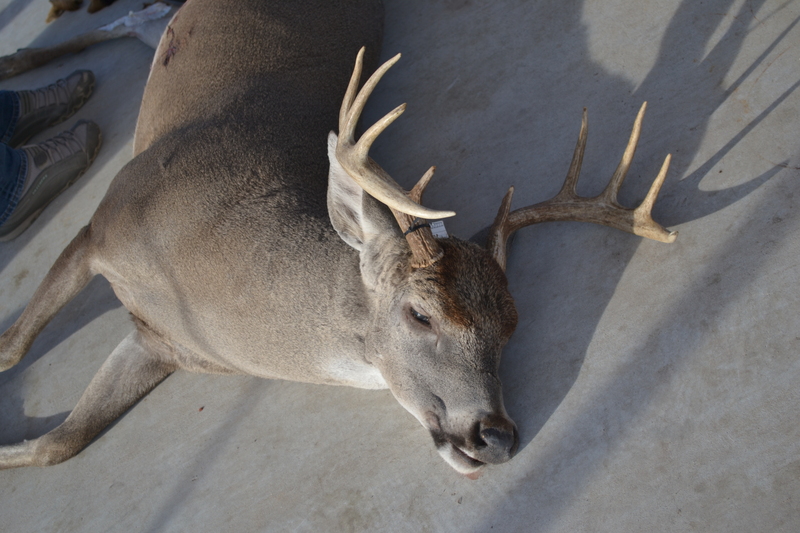 The connective tissue, silver skin, or fascia adheres to the muscle much more than with venison. The removal of these layers and bits is definitely more time-consuming. Lastly, when cooking whole-muscle recipes, like backstrap, tenderloin, or a roast, it’s important to realize that the muscle is denser than venison, which will, in fact, affect cooking time. More time will be needed in the oven at a lower temperature (say 300°). How much time will depend on the size of the meat. Over the next few weeks, I’ll continue to use the nilgai and document my progress. I’d appreciate any input from my hunting friends who may have experiences to share. That said- that meat looks delicious. You guys were getting a head mount, right? What did you do with the hide? It looks so cool. Thanks for the website of “man who hunts”. I’m eager to check him out. With a full shoulder mount, we won’t have a full hide left over. However I asked Deerslayer to have the hide done, as well. The cool mane will be on the mount but we’ll have some of the neat stripes left on the hide. I’m thinking about covering an ottoman or something. Your thoughts? Near the mane, the hair is longer and gradually gets shorter as it spreads out across the torso. cool blog, thx. Was thinking about hunting nilgai in texas this winter. You won’t regret it. Let me know before you head down. I’ll share some insights and pointers. Love the blog, we will be looking up some recipes for sure! I actually found your blog while looking up info on hunting Nilgai. My brother in law and I were drawn for the Laguna Atascosa NWR archery hunt for the first time. I saw you had offered some “insight and pointers” and would appreciate any help. First, be sure to save the shanks! They make the best Osso Buco. If I can answer any other questions for you, just ask. Glad you visited my site.